Lovely 3 bedroom Home with Separate Family Room and mini-Office located on a Corner Lot at the top of Ganado. Cozy Fireplace in Living Room with Plenty of Windows giving you lots of Natural Light and Amazing Ocean Sunsets. Master Bedroom Suite has Ocean Views and Skylight that lets in plenty of Natural Light. Bedrooms and Den have New Carpet, Newer Solid Hardwood Floors in Living Room, Kitchen and Dining, Newer Furnace and A/C and Newer Dual Pane Windows throughout. French Doors in Family Room lead to Private Back Yard. New Exterior Paint and recently Hardscaped Back Yard with Brick Patio and a Raised Deck for enjoying Sunsets over the Ocean. 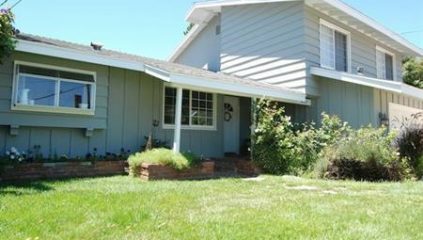 Close to Mira Catalina Elementary School and has Easy Access on/off the Peninsula.